NASA has just officially announced this morning that significant amounts of water ice have been discovered after analyzing data from the LCROSS mission, a spacecraft which plummeted into a permanently shadowed crater named Cabeus last month. 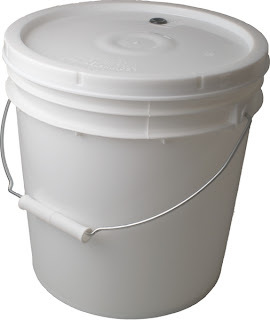 Holding up 2-gallon buckets during the press conference, NASA said, "We found dozens of these." 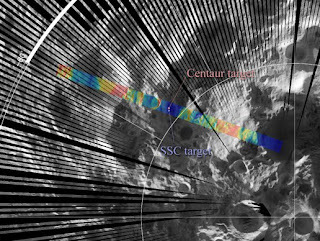 This important finding provides a great boon to the international community of scientists, engineers, and entrepreneurs cultivating a new era of lunar exploration. It is a game-changing discovery that could mean that the Moon will be sought out in the future as a scientific test bed and as a desirable destination for the advancement of space exploration. The presence of significant amounts of water ice can provide life support to future explorers of the Moon, and also can be broken down and used for propellants. That means that future exploration missions will be able to pack a little lighter for the trip, in turn allowing for longer duration stays and further reaching quests into the Cosmos. This discovery also has important implications for our Google Lunar X PRIZE teams, who are well-positioned to send a new fleet of privately-funded robotic explorers to the lunar surface within the next several years to discover more of the Moon's secrets and support future exploration endeavors. As Will would say, "What a great day to be a space enthusiast." We at X PRIZE look forward to what is in store for space agencies, industry, and private explorers in the near future as we all pursue "Moon 2.0".